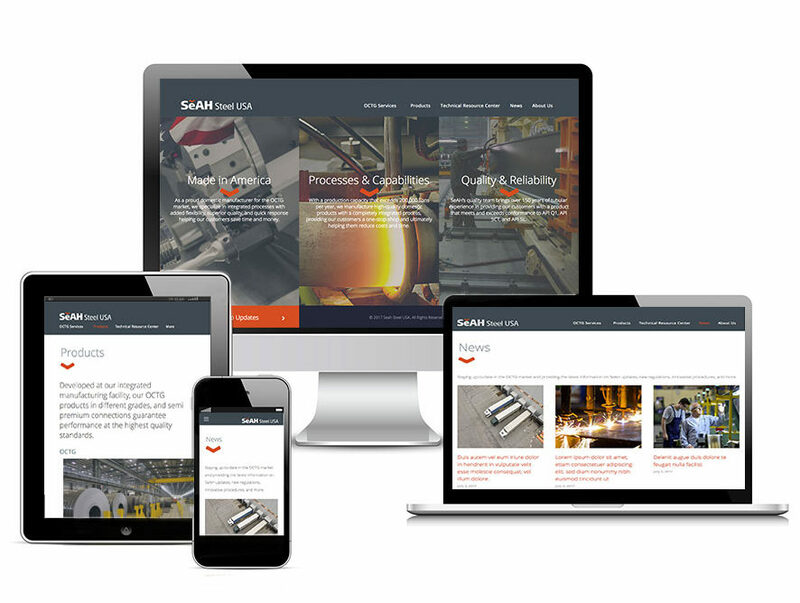 SeAH Steel USA is proud to announce the launch of a new website for our Domestic Manufacturing Facilities. The new website features engaging content and imagery to help outline specific services and products that our company provides to our valued customers. With a responsive user interface in place, we hope to assist our customers even better than before and uphold the SeAH Group’s brand and values that have been in place since 1960. Our OCTG Services pages will take you through the specifics of our treatment, inspection, and threading processes to provide our customers with comprehensive insight on how SeAH Steel USA manufactures high-quality domestic products with a completely integrated process. With striking imagery to spotlight our Houston location, our customers are able to gain insight to our 170 acre facility that allows us to become a one-stop shop for our customers, and also accommodates plenty of storage capacity to support extensive drilling programs that require 24/7 service. SeAH’s overall goal for this site is to not only remain transparent in our various products and services available to customers, but to also provide an array of Technical Resources and current industry news to keep our customers up-to-date on regulations, procedures, and technical support available. Check out our new site and contact SeAH Steel USA today for your OCTG needs.